After some impressive performances in the back half of 2014, one of the leading contenders for the rookie title in 2015 will be Pukekohe driver Shannon Chambers, who will also bring an exciting new machine to the second half of this year’s Brian Green Property Group New Zealand Rally Championship. Something of a motorsport all-rounder, Chambers competed in Motorcross as a youngster, then turned to circuit racing later in life. 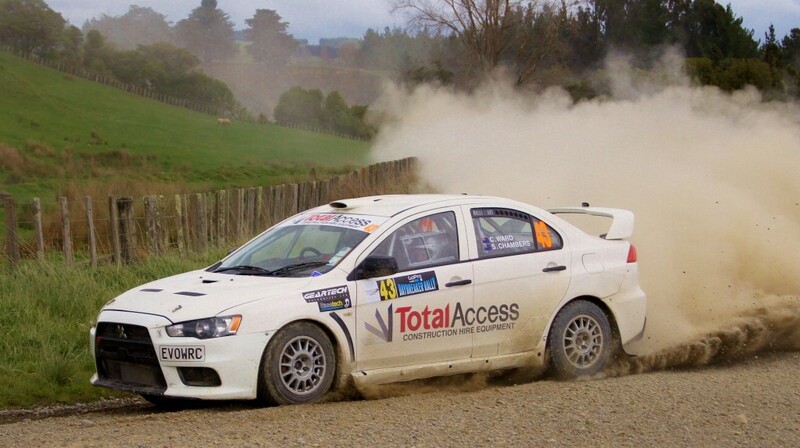 That wasn’t his cup of tea, so he moved into the Mitsubishi Evo 7 made famous by Mark Tapper’s infamous ‘full moon’ incident in the 2010 Rally New Zealand. Chambers then moved into a Mitsubishi Evo 10 previously driven by the likes of Glenn Smith and Brian Green, but moved away from rallying at the end of the 2012 season to compete in off-shore power boat racing. After competing in two events at the end of last season, including third overall at Rally of the North, the Auckland business man has decided to bite the bullet and contest the full New Zealand Championship. For the opening rounds, Chambers will campaign is rather radical Mitsubishi Evo 10 before moving into a brand new VW Polo ‘Proto’ car which his team are building in house, with an eye to debuting the car at the Goldrush Rally Coromandel. The Polish built Volkswagen Polo Proto car that Chambers team will finish build of in NZ, with aims to debut midyear.